How to spot BSE, what to do if you suspect it, measures you must take to prevent it and when you must have cattle tested. We collate the financial and market data relevant to UK agriculture, so you can view the latest prices, analyse trends over time and compare prices between UK livestock markets. Serving the UK dairy sector for 85 years, Dairy Farmer continues to serve its sector with the information it needs. Your one stop shop for all agricultural sales. Visit the UK’s most comprehensive auction directory. There are few occasions when farmers come together to celebrate all they have achieved but the British Farming Awards is one of those rare times. The CropTec show is for all farmers and agronomists seeking the latest information on innovative methods to increase profits from crop production. Visit the UK’s leading indoor agricultural event, with eleven packed halls of the very latest in agricultural machinery and equipment. Now at the NEC, Birmingham this is free to attend and free to park. Buying and selling has never been as simple. Register now to receive 2 free articles every 7 days or subscribe for unlimited access. Maize Matters is a sponsored series brought to you in association with KWS. This latest article in our Maize Matters series looks at the potential benefits of starter fertilisers and highlights a new disease from Europe, which may threaten crops in the South. 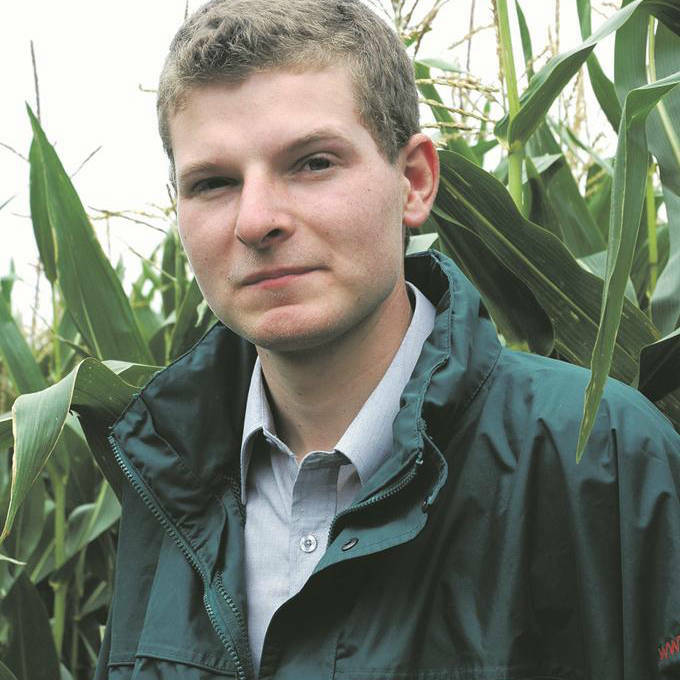 Richard Millar of Country Crops covers north west England, where he reports maize got off to a fairly poor start. He estimates crops in his region are a couple of weeks behind, compared with an average year, commenting that the adage, ‘knee high by the end of July’ did not apply to this season. Only about one-third of his clients currently use a starter fertiliser, but he would like to see this figure increase. He says: “A starter fertiliser is very useful, because despite temperatures starting to rise when maize is sown in April, figures in the soil itself may be much lower, by comparison. When this occurs, phosphate in particular is less available to the plant. Giving it reserves to draw upon at that early stage can make all the difference. Most modern drills have the facility to apply DAP or MAP fertilisers down the spout, so there is no cost associated with the application process. Having spent a total of about £400/acre to grow a crop of maize, I feel it is worth spending an extra £20-£25/acre on a starter product. "I also advise most of my clients to give the crop up to 70 units of nitrogen per acre at the 2-3-leaf stage; applying the nutrient any later can lead to the prills scorching the leaves." He believes two factors combined have led to an estimated 50 per cent cut in the number of maize acres sown this spring on the many dairy farms in his region. “The very high yields of maize cut last year have meant some milk producers are in the fortunate position of having leftover forage,” says Mr Millar. "In addition, a sustained period of low milk prices and the depressed market prospects have led dairy farmers to look at all their inputs closely, including the cost of growing maize. While this is completely understandable, it may turn out to be a false economy. On some farms, straights may have to be bought-in later on in the year, in order to maintain yields." Ed Stevens of Hutchinsons is based in East Anglia, where the acreage down to biogas far exceeds that of forage. He has noticed a shift in planting in recent years, with biogas crop growers opting to minimise risk, by adding hybrid rye to the rotation. "There is no doubt maize is still the crop which delivers the most energy for anaerobic digestion systems,” says Mr Stevens. “However, many businesses are reluctant to put all their eggs in one basket." He is looking forward to the results of an unofficial trial, designed to assess whether a late application of foliar nitrogen will produce a return on investment. “Nitrogen will be applied as late as possible, but before there is a risk of damaging the crop. Maize is a hungry plant and it needs about half of its total nitrogen requirement after tasselling; often up to eight weeks after emergence. "Commonly, the bulk of nitrogen is applied in the seedbed or at the 2-4 leaf stage, but it can be lost from the rooting zone on ‘leaky’ sands. A late application at the pre-tasselling stage should give the growing plants a boost, as they push energy into cob formation." While John Burgess of KWS does not intend to be alarmist, he advises growers in the South to be on the look out for a disease which could prove a serious threat to yields. Helminthosporium, which is also known as Northern Corn Leaf Blight, is a wind-borne, fungal disease which is common in Southern Europe. Identified in the UK just a few years ago, it can cause losses of up to 30 per cent in the worst case scenario. “Helminthosporium can spread rapidly,” explains Mr Burgess. “It is more prevalent in early varieties; later varieties are more robust and flower further on into the season. This offers them some protection, although no variety is 100 percent resistant to the disease. The symptoms of the disease can appear virtually overnight, he says. The top leaves are usually affected first, generally after tasselling. Signs to look out for include dark blotching on the leaves, normally measuring a couple of centimetres. The fungi invade the leaf tip and work inwards, eventually reaching the stalk. This limits the plant’s ability to photosynthesise. Ironically, the desire of growers to promote maize growth by using plastic has worked against them this year. “In areas which have experienced warm days in early season, maize under plastic has been virtually roasted and this has left the crop with some damage. As the top leaves have grown through the plastic, they have turned purple and curved inwards, due to the difference in temperature above and below the film. To see comments and join in the conversation please log in. FG Insight and FGInsight.com are trademarks of AgriBriefing Ltd. Farmers Guardian and FarmersGuardian.com are trademarks of Farmers Guardian Ltd, a subsidiary of AgriBriefing Ltd.
All material published on FGInsight.com and FarmersGuardian.com is copyrighted © 2019 by AgriBriefing Limited. All rights reserved.